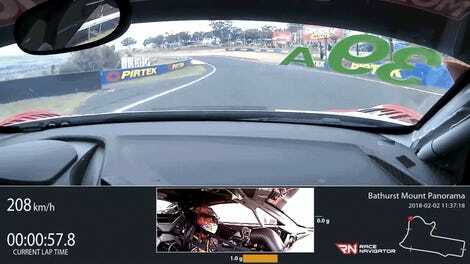 It seems like every year, something entirely unheard of happens when cars hit the track at Bathurst’s Mount Panorama Circuit. 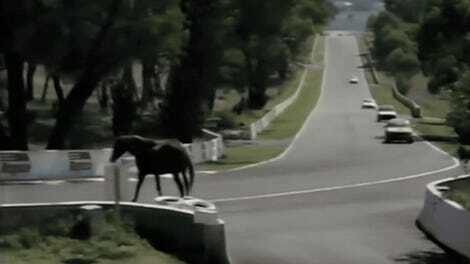 We’ve had horses and kangaroos on track, pit lane battles, and now: a fan battling a flaming car at the Bathurst 12 Hour after a bad wreck in practice. The No. 540 Black Swan Racing Porsche crashed into the wall at a section of the track called The Chase during the second practice session. It was a hard hit, and the Porsche was engulfed in flames pretty much immediately. Enter one very courageous fan. Social media posts suggest that this man jumped the fence between the spectator area and the track, picked up a fire extinguisher from the marshal’s post, and set to work extinguishing the flames long before any official marshals or medical personnel arrived at the scene. Later photos obtained by Speedcafe.com show a second man at the scene, also carrying a fire extinguisher. Race organizers are looking into the situation. Their official statement is pretty colorless, but they’re essentially going to be checking out things like track personnel response time and fan safety. The Porsche fire didn’t seem like it was urgent enough to warrant fan intervention, as per folks who were watching the practice session—but it raises a lot of questions about implementing more fan safety to ensure stuff like this can’t happen just because someone is really keen. The driver of the No. 540, Tim Pappas, has been airlifted to a Sydney hospital after the accident—he’s mentally clear and conscious but has sustained fractures to his right arm and pelvis, according to a statement from Porsche. With their only car out of the race, Black Swan Racing is already packing up their equipment and heading home. It’s one for the history books, that’s for damn sure. 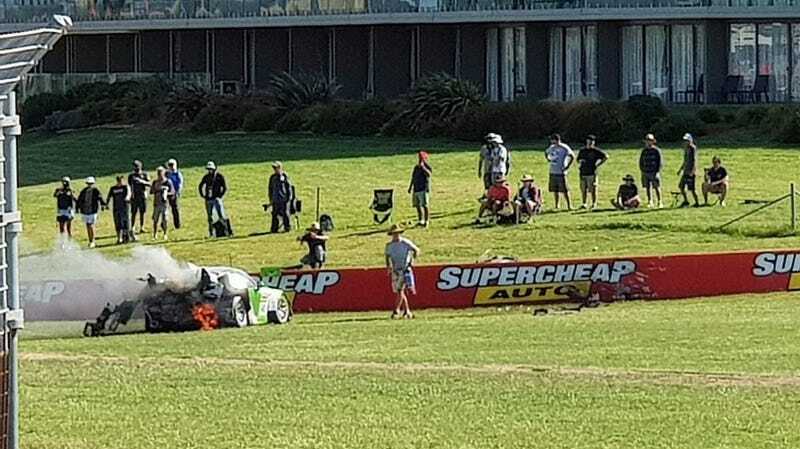 Bathurst seems to encourage the wildest things you can imagine—and fans in shorts putting out a car fire in 2019 is never going to be forgotten. And if you were there and saw the whole thing happen, let us know. We’d love some eyewitness accounts.